The one-pot multicomponent synthesis of oligoetherols containing azacycles is described. They were obtained by reaction of isocyanuric, barbituric, or uric acid or melamine with glycidol and alkylene carbonates. The isolated products were characterized by physical methods and their properties were compared with the same compounds obtained in two-step protocol. 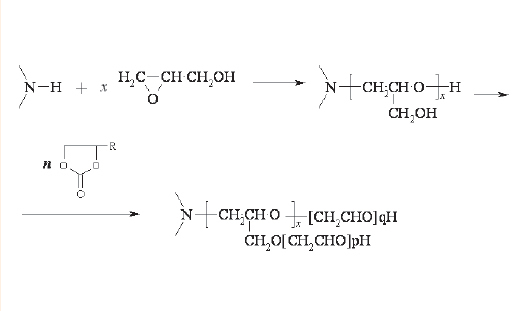 The oligoetherols with 1,3,5-triazine ring obtained by both methods were then used to form polyurethane foams and their properties were compared.